V8 Touring Car frontrunner Jordan Boys will make his Dunlop Super2 Series debut at Sandown with Dragon Motor Racing, replacing Renee Gracie. 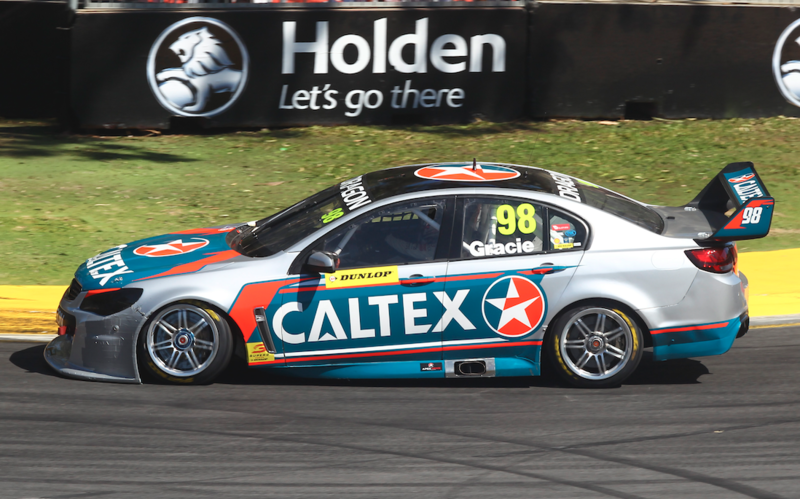 Gracie has been racing one of the team’s ex-Garry Rogers Motorsport Commodores, run by Image Racing, alongside Jack Perkins. Gracie, who could not be reached for comment, has been a regular in Super2 for the last three years, as well as co-driving a wildcard in the last two Supercheap Auto Bathurst 1000s. Boys drives an ex-Stone Brothers Racing Falcon with Image Racing in V8 Touring Cars, and is second in the points entering this weekend’s penultimate event at Phillip Island. The Albury teenager is in his rookie season, following time in Formula Ford and karting. “Sandown’s a place he’s run the Formula Ford before,” Image Racing boss Terry Wyhoon told Supercars.com. “He’s a little bit familiar with the track and we want to get him used to Supercar-land, so to speak, so it’s a good opportunity. Perkins sits 12th in the standings, having fallen from eighth after missing all four races at Sydney Motorsport Park due an engine problem that emerged during practice. With the engine having gone back to builder GRM between events, Wyhoon says Mobil 1 HSV Racing co-driver Perkins’ experience will help newcomer Boys. “It just had a lot of blow-by,” he said. “We knew the engine was up on kays before we went to Sydney, we thought we might have gotten through with it. “From what Jack described on track with it, and we had a couple of oil-pressure warnings, we thought we didn’t want to have it in a box of bits. It’s best to rebuild it when it’s running. “Jack gets along very well with Jordan. He was up at Winton doing his co-driver session and helped Jordan there with the V8 Touring Car program. “They’ve had a bit to do with one another this year, so he’s going to come down to the Island this weekend, give Jordan a few tips.